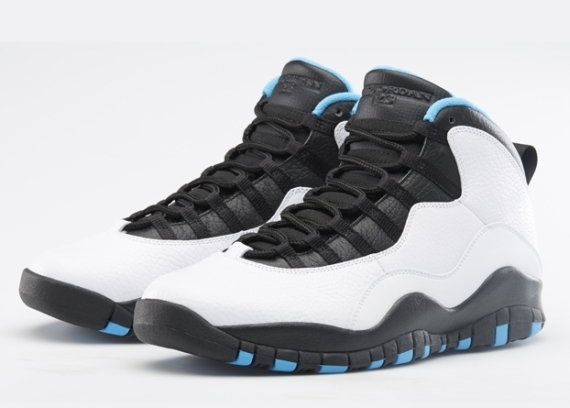 Next up on the calendar as far as Air Jordan release dates are concerned is this Jordan 10. The sneaker is one of those few that’s left in the vault as far as original colorways that have yet to retro. From everything that we’ve seen, this looks to be the only of OG designs for the Air Jordan X that’s set to make a return in 2014, so don’t go expecting the full city pack to show up on your local retail shelves. Click through with us to see official images on the sneakers and watch for the Air Jordan 10 “Powder Blue” to release on Nikestore this Saturday, February 22nd at 8AM EST. Also, make sure you check out what’s already available on eBay.